Our 5 Day Bruce Trail Waterfall Walk explores the unique section Iroquois of Canada’s famous Bruce Trail, running along the Niagara Escarpment. An amazing natural environment, it’s a designated World Biosphere, significant on a world scale. 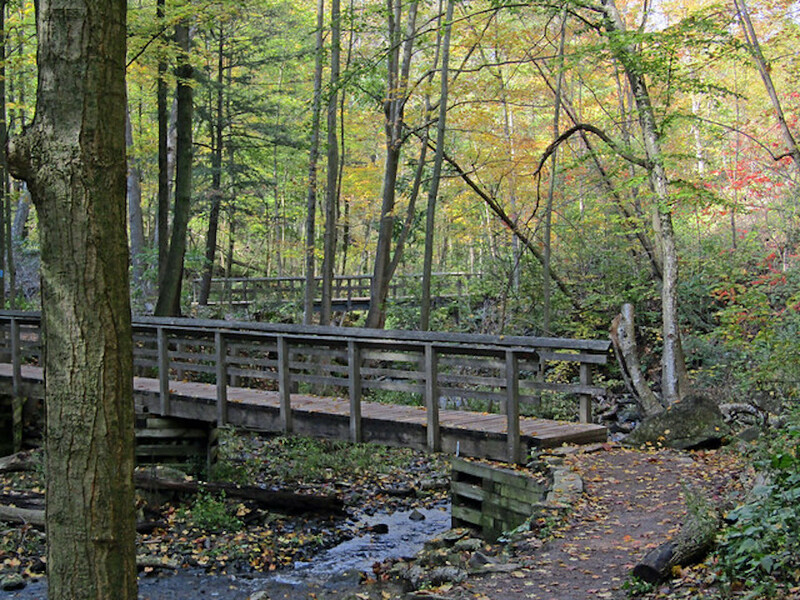 The Bruce Trail’s Iroquois section runs through Hamilton region in the Heart of South Ontario. 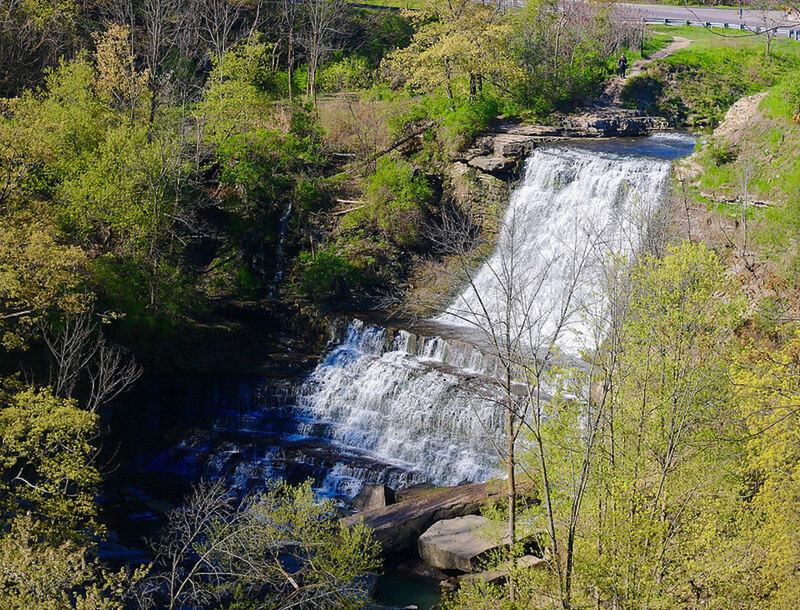 120 waterfalls run over the Escarpment here, making it the Waterfall Capital of the World. All inclusive tour includes 4 nights accommodations at your choice of Best Western Premier C by Carmens, or if traveling to us from the West via London or Detroit, the Best Western Brantford, just minutes from our outfitting shop in Paris. Dinners are at the regions best restaurants, delicious gourmet lunches by our best caterers. Incredible dining and accommodation plus Grand Experiences expert interpretative Guides will make your Waterfall Walking Tour an unforgettable experience. You are immersed in a scenic getaway full of waterfalls, Carolinian forests, with numerous species of plants and wildlife. 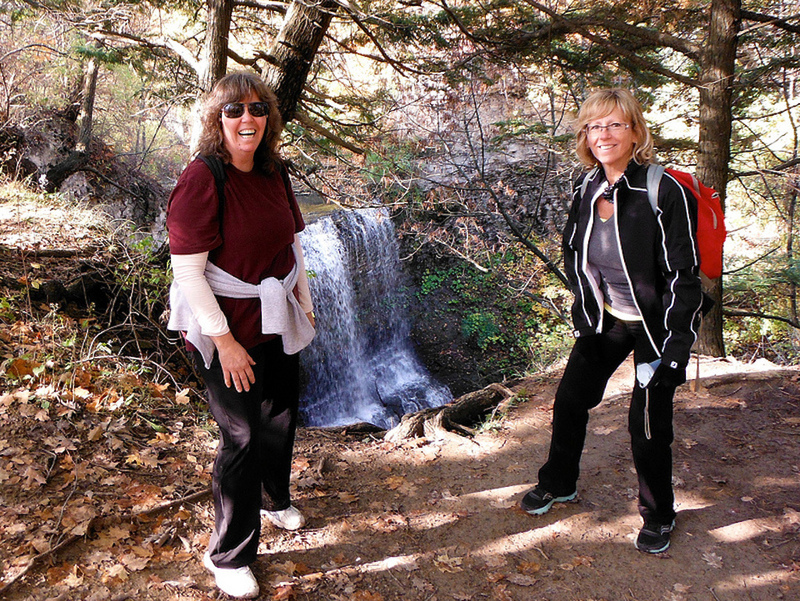 The Bruce Trail Waterfall Walk provides you with a unique tour in one of Southern Ontario’s most scenic locations. Full of gorgeous and relaxing waterfalls, the Bruce Trail is the ultimate place to be for all scenic lovers. accompanying you on you tours will be highly skilled & knowledgeable guide to lead you on the trails and provide commentary to ensure that you have the best experience possible. Whether you simply enjoy hiking, taking photos, want to get away for a couple’s or girl’s holiday, or simply just want to experience the beautiful Fall Colours, breathtaking Spring run-off or lush Summer Canopy that the Trail has to offer, this trip is for you! Tour include shuttles to and from the hiking points plus our experienced guides who provide interpretation throughout the hike. By the end of this walking holiday participants will leave with new friends, great memories and a love for hiking the Bruce Trail. custom dates available for groups of 4+. Contact us for availability.